The explosion of technology adoption and investments across China signals the next iteration of its economy. Historically, China maintained its position as an economic powerhouse as it boasted cheap labor and manufacturing. The country’s next economic wave will capitalize on technology as its consumers flock to it at unmatched speeds and government and big businesses continue to invest in it. While there is no question that China’s economic slowdown is both real and significant to global economies, the country’s IT spending has held strong. According to research firm Gartner, China is the third largest market for enterprise IT spending, after the US and Japan, and spending on technology products and services is forecasted to reach $155.8 billion (RMB 972.4 billion) in 2016. Of these technological investments, the business intelligence (BI) market shows promise, not only as a way to improve operations, but also as a means to derive value from the growing amounts of consumer data. China’s tech industry has experienced a coming of age over the past decade. Increased research and development spending, government investments and a tech-savvy population make it fertile grounds for innovation. Industry leaders, like Baidu, Alibaba and Tencent, have made huge strides toward becoming technology powerhouses in industries like telecommunications, mobile devices, online services and more. In the past year, Alibaba announced a $1 billion investment into its cloud computing unit Aliyun, Baidu hired Google’s former AI chief Andrew Ng to lead research efforts that will help internet companies maximize data, and Intel announced a joint investment of $31.7 million with the Beijing Municipal Government and the Institute of Automation of Chinese Academy of Sciences to collaborate on Internet of Things (IoT) related technology research and innovation. Not only are China’s huge enterprises leading the way in tech, but its consumers are way ahead of the tech adoption curve. More than 70 percent of China’s mobile internet users use m-commerce, as compared to about 31 percent of US users, according to research from the China Internet Network Information Center, indicating that Chinese users and businesses have been fast to adopt new technologies. According to McKinsey’s 2016 China consumer report, China is the world’s largest e-commerce market — generating revenue of $615 billion in 2015, around the same as Europe and the United States combined. Its consumers are increasingly purchasing online and via mobile devices. As a result, payment applications and e-commerce sites are accruing huge amounts of data. This data presents a new type of capital. If used properly, companies can use data analytics to better understand the behaviors of valuable customer segments and engage them with tailored marketing efforts. We’ve seen global business become more profitable by embracing big data technologies, and Chinese businesses are well positioned to do the same. According to a report by China Industry Research, the global big data industry will generate $23.8 billion of revenue this year, growing 31.7 percent from a year ago. 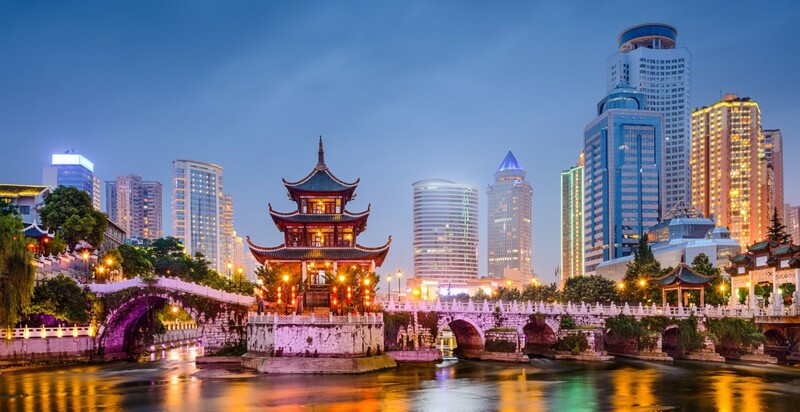 Estimated annual growth in China in the coming years will be more than 60 percent, with total revenue reaching $7.13 billion (46.29 billion yuan) in 2019. At the start this was primarily driven by marketing needs, but as technology has evolved it has begun to be introduced across all industries and equally enthusiastically adopted by the government. In parallel with developments in the US, China’s “big three” internet giants all started out specializing in their own niches – search, retail and social – but have since evolved into competitors as each one developed alternatives to their rivals’ specialities. Now they all compete to sell targeted advertising based on big consumer data, as well as business services such as cloud hosting and analytics. While each company has access to different data sources, all three companies have used their data to help optimize advertising and marketing. Similar to Google, Baidu’s ability to tailor advertisements based on search behavior and trends has improved as its big data capabilities expand. With the ability to monitor what users are searching for, they can optimize ad costs, while also appealing to more marketers with targeted ad opportunities. Similarly, Tencent, which runs China’s largest mobile chat network, WeChat, has extensive data on the most influential users within social groups. Armed with this knowledge, Tencent can work with advertisers to target ad spend toward the most significant individuals. While advertising and e-commerce have been the most common uses for big data, Chinese companies are expanding their use cases. In the past year, Alibaba’s spinoff Ant Financial has used online shopping and transaction data to determine if small businesses qualify for loans. As internet companies move into the payments and banking space, it opens up even more opportunities for big data analytics to flourish. All of these things point to one thing — the Chinese economy is poised to take on tech. China’s tech-savvy consumers and openness toward embracing technological innovations is a harbinger of growth. With all of these factors at play, Chinese businesses are well situated to take advantage of big data analytics and enter its next phase of economic growth.